Today, we’re going to create windows executable backdoor using Metasploit Exploitation Framework’s using msfvenom. First make sure Metasploit is already installed. 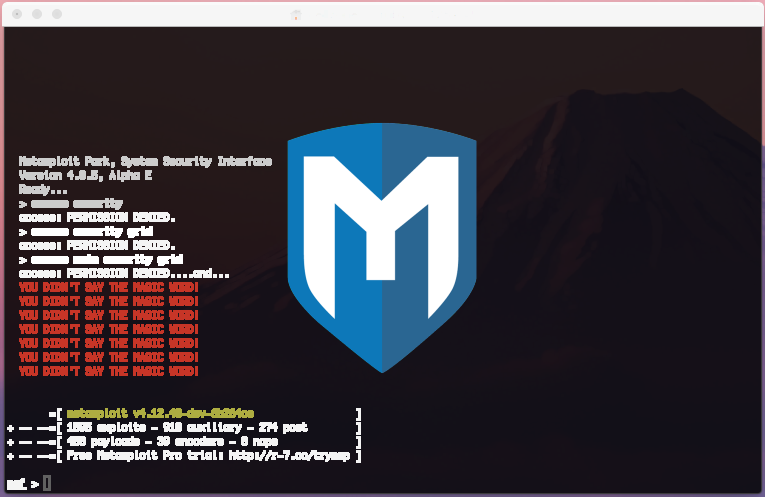 If you’re using Mac/Linux you can install Metasploit by using this method. If you’re using Kali Linux then Metasploit is pre-installed on it. 1- Open terminal and download putty using wget. 2- I was in root directory when i used above command. So, putty got downloaded in /root/ directory. Now use msfvenom to backdoor this executable using the following command. Above command will generate an EXE file with the name evilputty.exe. This is our backdoored executable file. 4- Start metasploit’s reverse handler to get a reverse connection. To use this method over WAN/Internet, you need to forward your ports. Incase you’re wondering how to port forward here’s how to do it. Follow my following tutorial for better understanding of metasploit’s working over internet. If you successfully port forwarded and open your port. You’re public ip address might not be static so in that case you should be using NO-IP DNS to get a static address. If you have any questions related to port forwarding or attacking in WAN Network please don’t forget to comment below!